Ryanair tests free Movie and TV streaming for the passengers! It’s hard to believe such news after years of experience with Ryanair, the company that used to charge you for those 100 grams over the weight limit or €50 for printing your boarding card you forgot somewhere on the way to the airport. Anyway the news is now that Ryanair tests free movie and TV streaming to tablets and smartphones of passengers flying with the company. This is Ryanair’s attempt at in-flight entertainment done the cheap way. Instead of installing brand new seats with classic touchscreens you know from long-haul flights, the company trials on-board film and TV streaming to laptops, tablets and smartphones of each passenger. And the best thing – they don’t plan to charge for it a single cent! 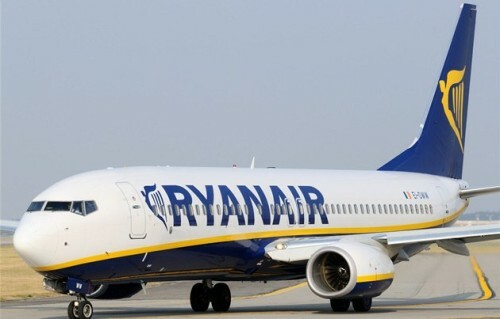 John Hurley, chief technology officer at Ryanair, said the service is aimed at passengers on flights over 2 or 3 hours. “They’ll watch a couple of adverts and will then have access to a selection of pre-recorded TV shows and films which will be streamed through internal Wi-Fi.” The amount of movies and TV shows is yet to be decided and depends on the negotiating with Ryanair’s partners. The monetization is easy – you will be shown couple of adverts before the beginning of movie or TV show. This way the company is able to keep the service free for passengers because the companies will order paid commercials. Mr. Hurley also stated the company doesn’t plan launching WiFi internet access with this service yet. If the trials finish successfuly, Ryanair’s prepared to roll out the service across its fleet of more than 300 aircraft in 2016. Anyway that’s definitely good news from the company that was just couple of years ago focused on squeezing maximum cash from each passenger instead of offering him extra perks like this. Let’s hope this is the direction Ryanair will stick to in the future as well. « Cheap flights to Indonesia: Bali from Budapest for €546!